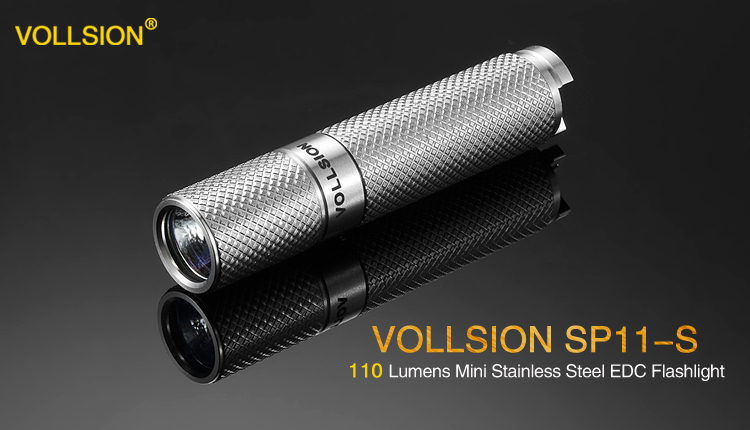 New brand,new journey!VOLLSION SP11-S is a stainless steel high brightness EDC mini flashlight,Vollsion launch its first independent brand product!In order to make consumers better experience with new product,and for subsequent product development,welcome masses of users and fans to participate in the new product Vollsion SP11-S trial experience,the testers have the chance to gain a piece Vollsion SP11-S flashlight as a award,looking forwards to your participation and support. 1,Selected lucky will get free prizes 1 piece of VOLLSION SP11-S flashlight,which trial evaluation in accordance with the requirements.Then release the assesment report to relevant medias in time. Your name ,telephone No,mail address,delivery address,previously issued by relevant assessment links the 5 items information all send to as belowmail address,we will be random tp choose from it.